IOTAshops.com is your source for shops where you get IOTA related articles, hardware, services and stores where you can pay with IOTA. You also find a list of exchanges that trade IOTA, cool projects from the Ecosystem, games and much more. 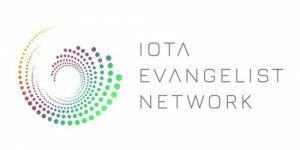 You are looking for an IOTA merch or compatible hardware? And you want to pay all that with IOTA? You want to integrate IOTA payments into your business? Here you’ll most likely find the IOTA shop and solution that you are looking for! We also take care of marketing your products, projects or campaigns and offer advisery services.